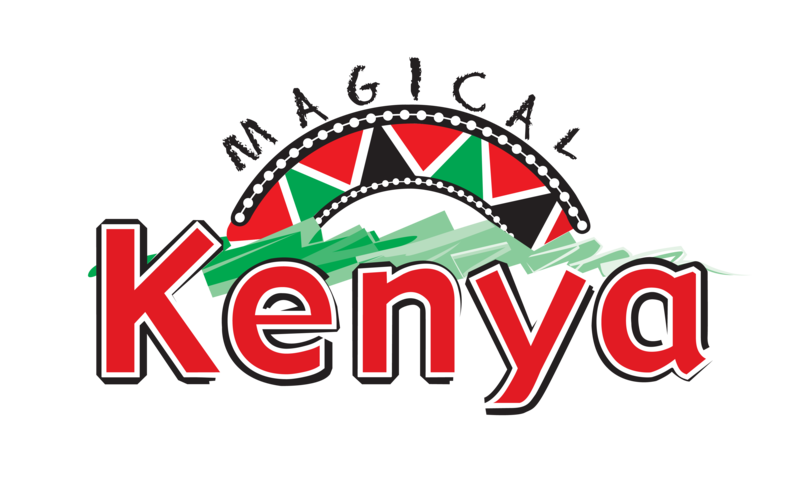 The country is about huge landscapes and deep cultural experiences. Wild animals roam freely in their natural habitat. 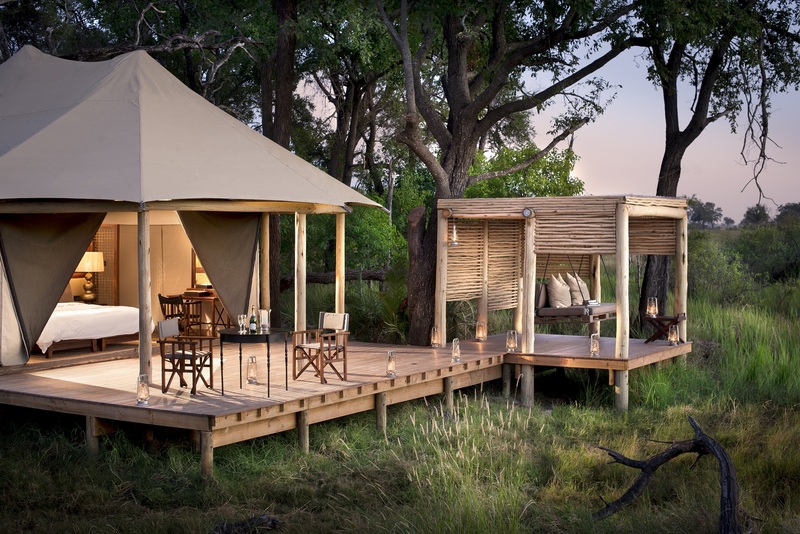 Be awed by the world’s largest intact delta, the Okavango, the wildlife-rich Chobe Game Reserve, the vast Central Kgalagadi Game Reserve, or experience the isolation and vastness of the Makgadikgadi Pan. Sunset and landscapes set romantic scenes that will inspire years of future exploration in this magical country . The landscape of Botswana is over 70% desert and mostly flat. The sky is endless. Dusk and dawn will bring a sunrise or sunset creating amazing changes in hues that give every visitor a deep sense of freedom. 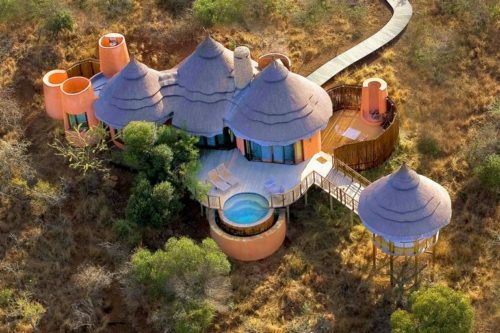 Game drives and bush walks are a must-do in Botswana. 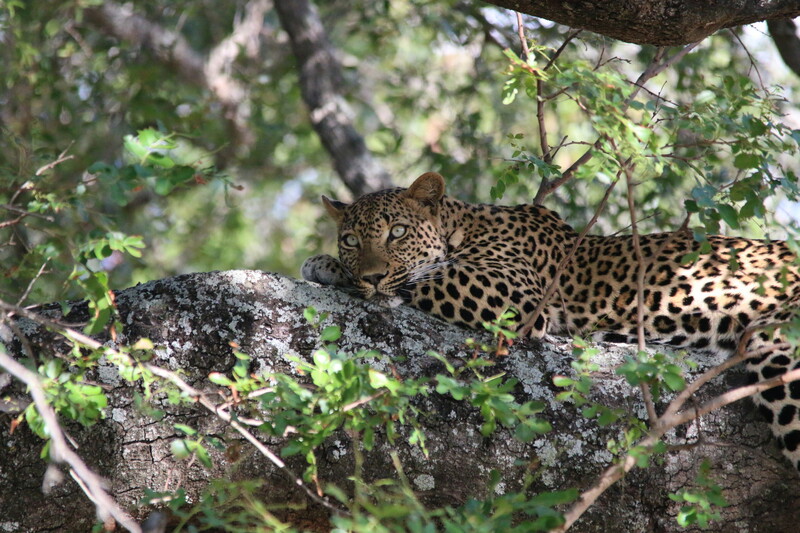 This is the chance to view wildlife from an open safari vehicle accompanied by an experienced safari guide. 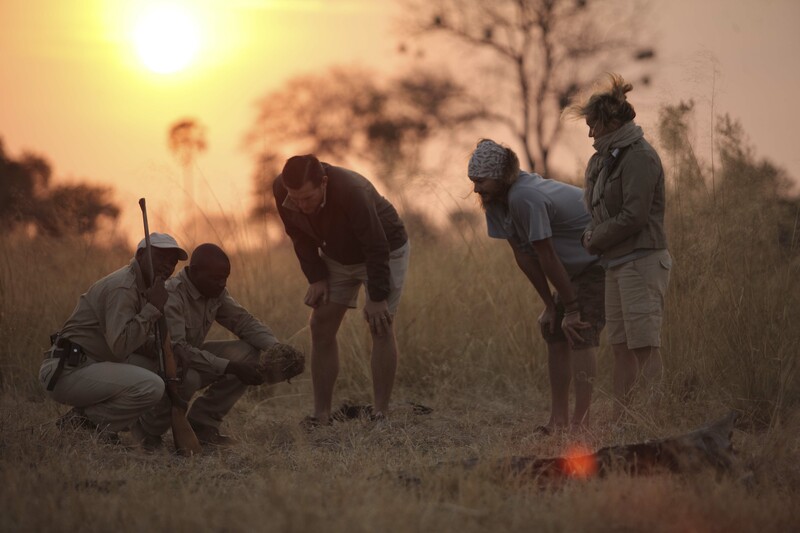 Game drives are best done during dusk and dawn, the crepuscular hours when animals are most active. 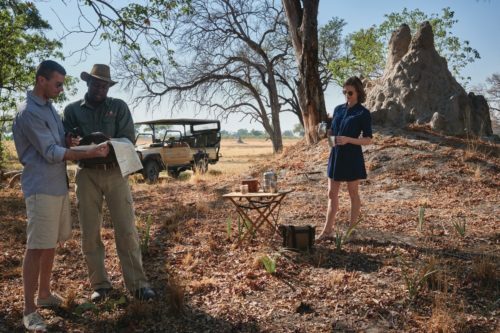 Bush walks offer insight to the smaller aspects of these wilderness areas where guests walk with traditional trackers who use generations of knowledge to interpret natural interactions between the fauna and flora. There are great opportunities for birdwatching, especially in the Okavango Delta and Chobe National Park. 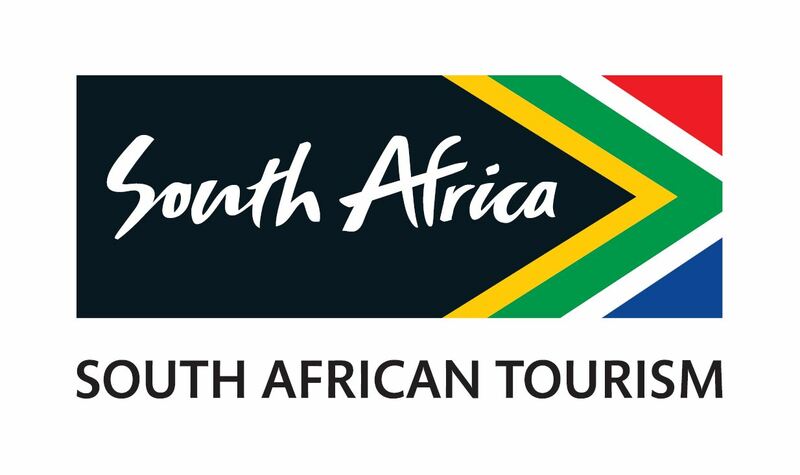 Botswana has over 650 bird species recorded, of which 75% can be found in one area. 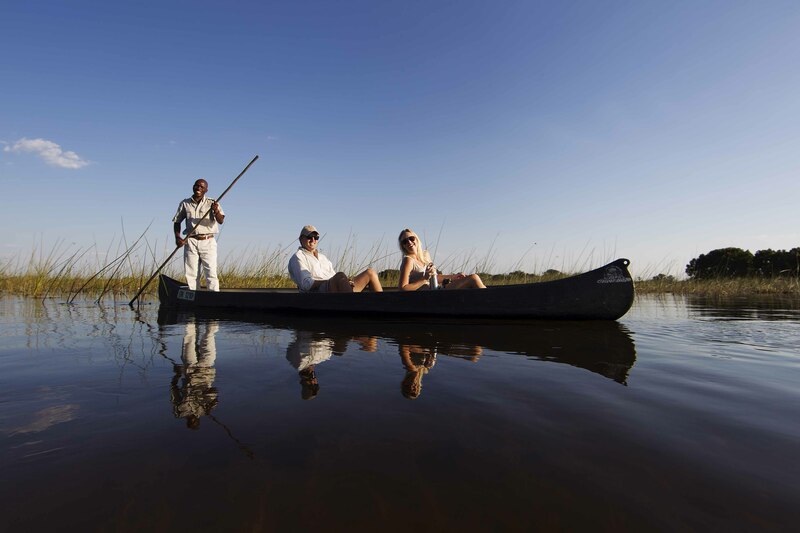 The Delta is a place to relax and explore the clear shallow waterways in a locally made canoe called a Makoro. 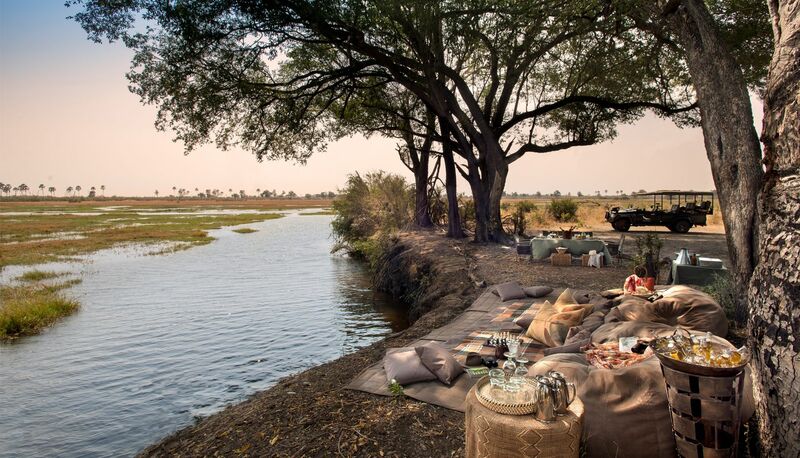 With the sound of birdsong and the serenity of the river, a mokoro trip has been described as a signature experience in Botswana. 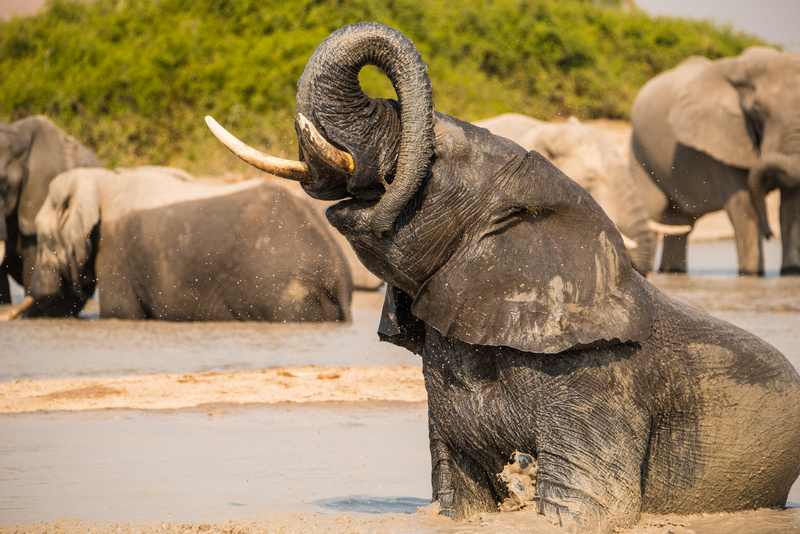 Explore the great Botswana rivers. Cruise the Chobe and the Thamalakane in Maun by motorboat. Air conditioned 'Hemingway styled' tents. Belmond Eagle Island Camp is the only property in Botswana to offer an helicopter game viewing activity as part of it's daily safari program. 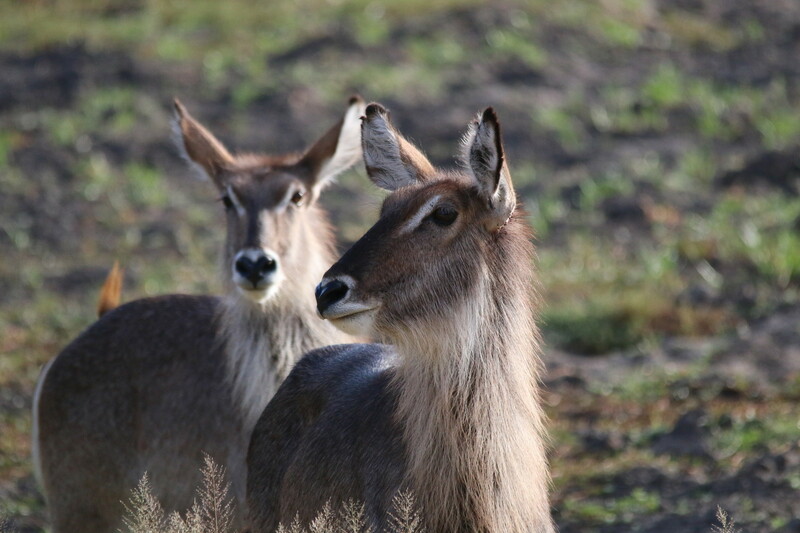 'Window seats' on our game drive vehicles. Private game activities at the time of reservation. 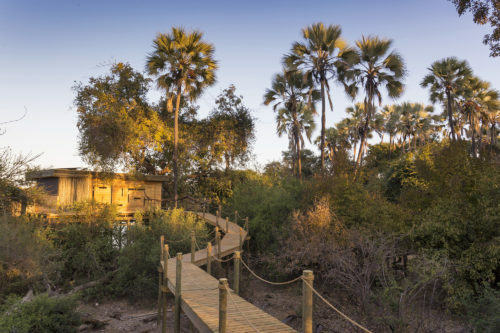 Set in a cool forest canopy of wild palms and gnarled fig trees, andBeyond Sandibe Okavango Safari Lodge looks out over spectacular Delta views. 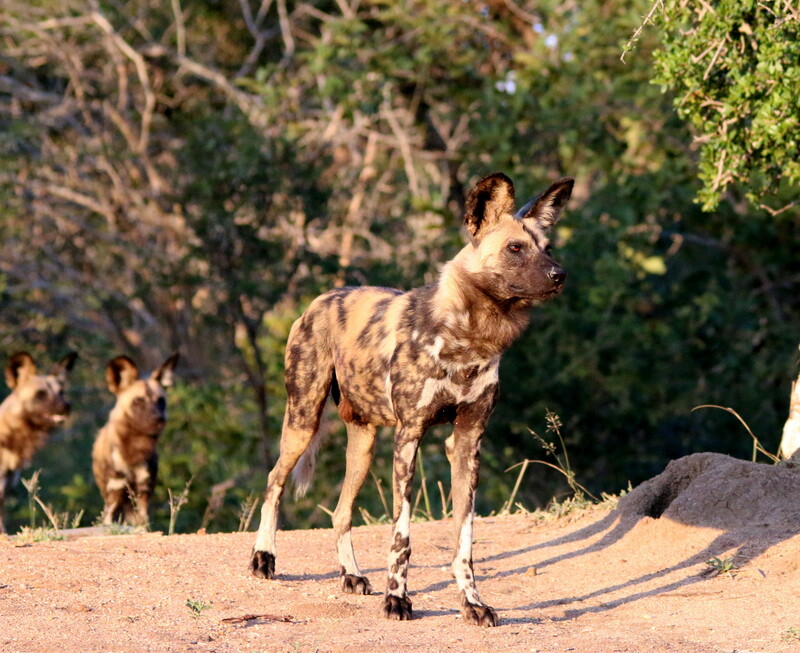 Situated on a private concession, Sandibe has exclusive traversing rights over 55 600 acres of wildlife land adjacent to the Moremi Game Reserve. With our association with the CECT, cultural experiences and interaction with the community are paramount and these include visits to the local school, the clinic and the village. 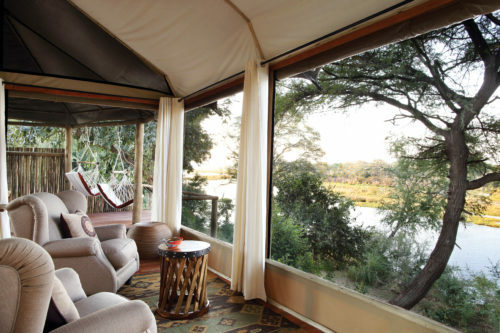 As Ngoma Safari Lodge is situated in the Chobe Forest Reserve, both walking and night drives are permitted.